How many times have you said the words, “oh I couldn’t wear that… It’s so not me”. As humans we tend to put ourselves down quite a bit. Whether we think we are too old, too curvy, too skinny or even just not “cool” enough to wear something that we absolutely love. Let me tell you something now. STOP. Wear what you want and you will feel much better for it. 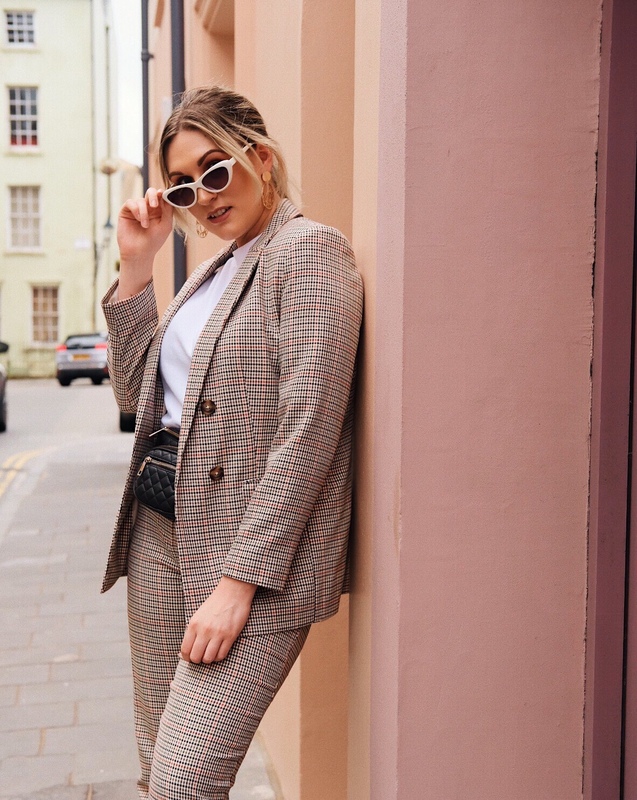 I spotted this check suit in New Look and immediately fell in love. When I tried it on I just felt like I couldn’t pull it off. My Mum reassured me and told me to take it home and style it my own way. I wore it to Afternoon Tea at Roe Park Resort in Limavady and styled it with my trusty Dr Martens (which by the way are about to fall apart), a white tee and a bum bag. When I put my own spin on the suit, I felt great. My actual words were, “I bloody love this outfit”, and I’m so glad I stepped out of my comfort zone and brought this suit home. So if there is ever a time when you feel like you can’t wear something for any reason at all, buy it, take it home, put your own spin on it, and I can guarantee you will feel great in it!